7 Unsexy Things To Do After You Start a Blog! 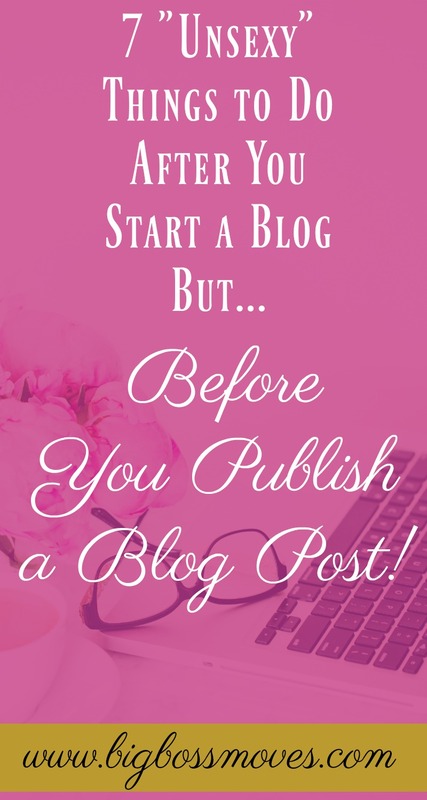 Well, before you jump into writing a bunch of blog posts, there are some things you need to do after you start a blog. I know most of these blogging tasks seem “unsexy”, and not a lot of fun, but trust me they are essential to building a strong blog foundation. So, after you register a domain name, purchase hosting, and start a blog do these 7 things next. This might be the most unsexiest thing you ever do with blogging – yet still important. Last year there was a push for websites to switch from http to https. 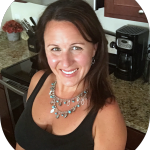 So for example, this time last year, the URL for my blog Organize Yourself Skinny was http://www.organizeyourselfskinny.com. Around September I switched it to https://www.organizeyourselfskinny.com. What’s the difference? In very simple terms using https instead of http makes your site more secure for people entering personal information such as credit card information or email addresses. When your site is https it encrypts that information so hackers, or other bad internet trolls, can’t see your information. Also, Google (the search engine god) has said that they’ll show preference to https websites. So, if you want to stay on Google’s good side then switching to https needs to be a priority. Good thing switching to https is an easy fix. 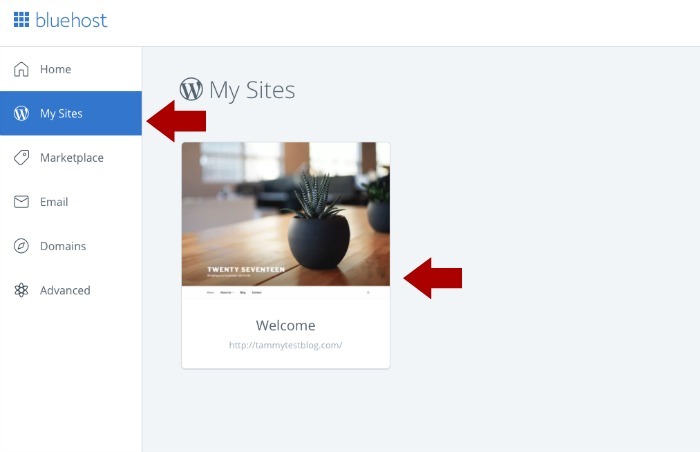 If you signed up for Bluehost this is how you can easily switch your blog to https. Go to your Bluehost control panel. 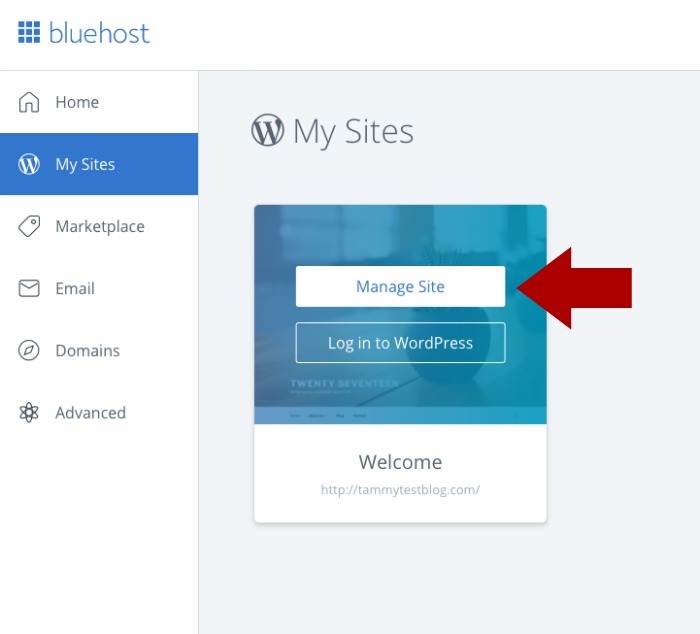 You can get to this by clicking on Bluehost inside the WordPress dashboard – it’s on the top right. Then scroll down and click on “manage my sites”. If you get an error message then click on hosting and it will take you to this page. This is where you manage the back end of your blog. You won’t spend a lot of time on the backend so don’t worry if it looks intimidating. Okay, click on “my sites” and hover over your site. 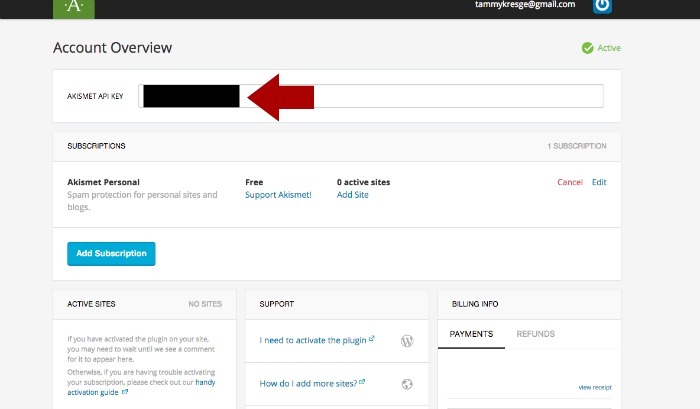 When you hover over the site you’ll see a “manage site” button. Click on that. Now click on security. In that section you’ll see the free SSL Certificate. Click on the tab to turn it on. Please note this won’t be available for 10 – 24 hours after you set up your blog. After you click the tab it will turn to green – this means it’s on! See, that wasn’t so bad. Now I’m sure other hosting companies have a similar https process so if you didn’t use Bluehost then simply contact your hosting company and tell them you want your site to be a https. The next thing to do is switch your permalinks. A permalink is your blog’s domain plus the name of the post. So for example https://bigbossmoves.com/blog-resources/ <— this is the permalink for my blog resource page. You want to do this before publishing any blog posts. If you change this after you publish a blog post you’ll break the original permalinks. When you start a blog the permalink defaults right to the day and name. It’s better for SEO purposes to have the permalink be just the post name. Also, taking the date out helps keep the post evergreen. For example, if you write a post today and it gets popular 5 years from now it’s not going to show that it was written 5 years ago. To get to the permalink section click on settings and then on permalinks. Then click on post name and click save. That’s it, you’re done with permalinks. Remember, don’t do this if have blog posts up already. 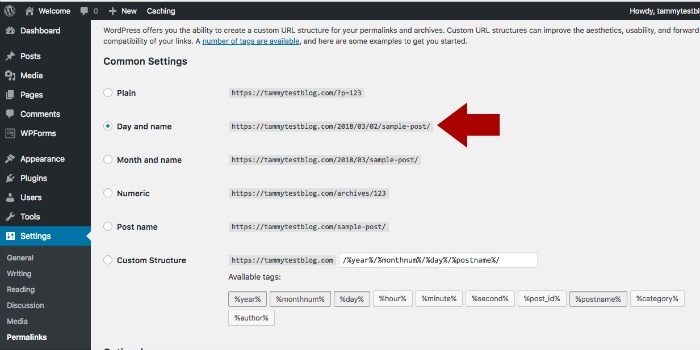 This will break the url’s of the blog posts you published. It is very important to install google analytics right away. You can sign up for a google analytics account here. Google analytics will give all the statistics needed to show you the number of people that are coming to your blog, where they are coming from, what blog posts are the most popular, and a lot more information. You need these statistics to set goals, make adjustments to content and marketing, hold yourself accountable, and understand the content your readers want to read. Keep in mind, you’re not going to see a lot of action in your analytics at first but the more content you write, and promote, the more information you’ll see on Google Analytics. 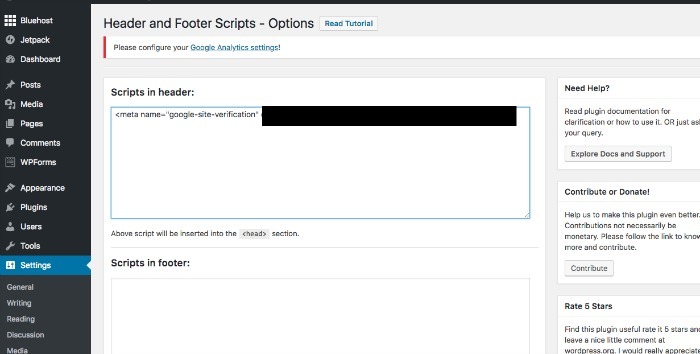 After you sign up for Google Analytics, using your google account, you’ll get a tracking code to insert into your blog. This can get a little tricky but there are plugins to make it easier. 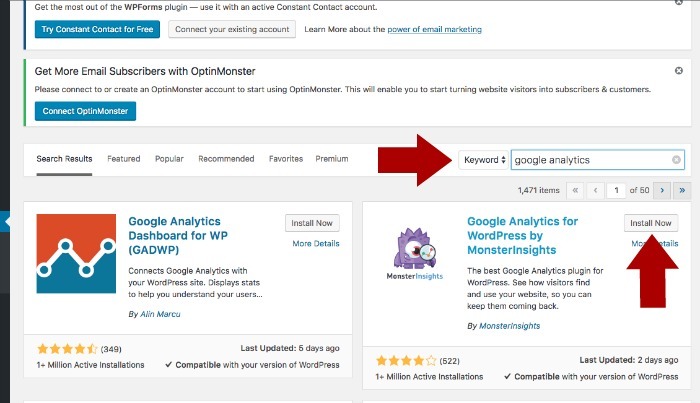 I recommend using the Google Analytics for WordPress by MonsterInsights. 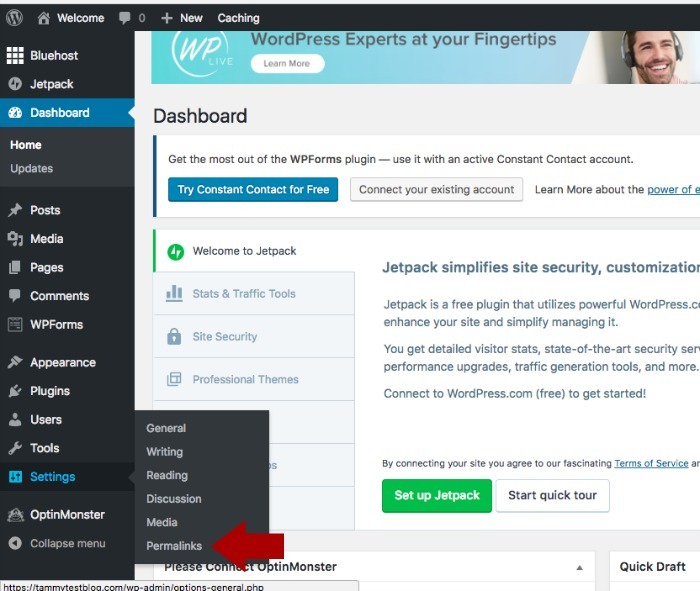 Simply click on the plugin’s tab on the left of the WordPress dashboard and click on add new plugin. You’ll get to this page. 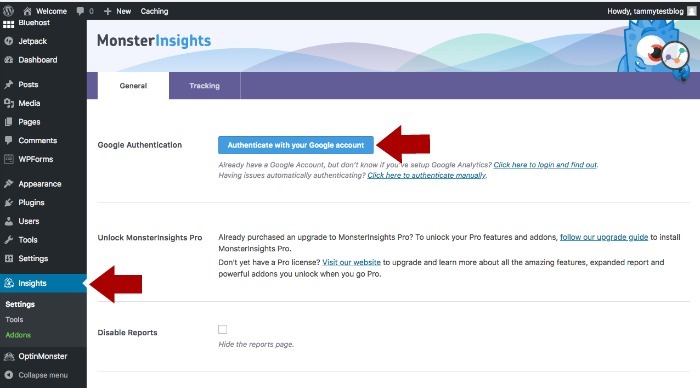 Type in “google analytics” into the keyword section and then you’ll see the MonsterInsights plugin appear. Click install and then activate. After it’s activated go to the settings and authenticate your google account. 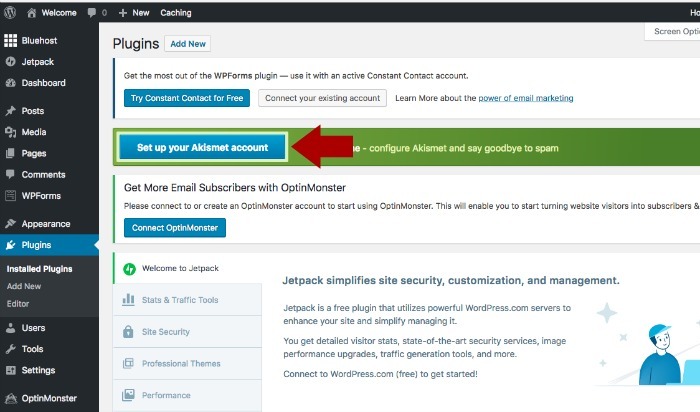 This will connect your Google analytics and you’ll be able to see all of your statistics within your WordPress dashboard. Are you having fun yet? Don’t worry you’re almost done. 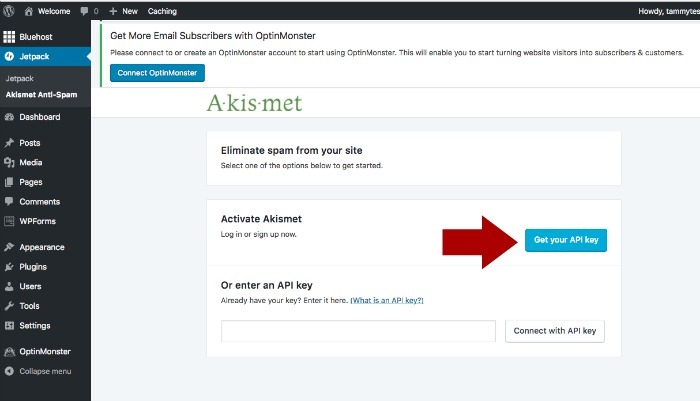 The next thing you want to do is activate the Akismet anti-spam plugin. Trust me, you need this or you’ll be sifting through 1000s of spam comments. This plugin scans all comments and intercepts the spam. 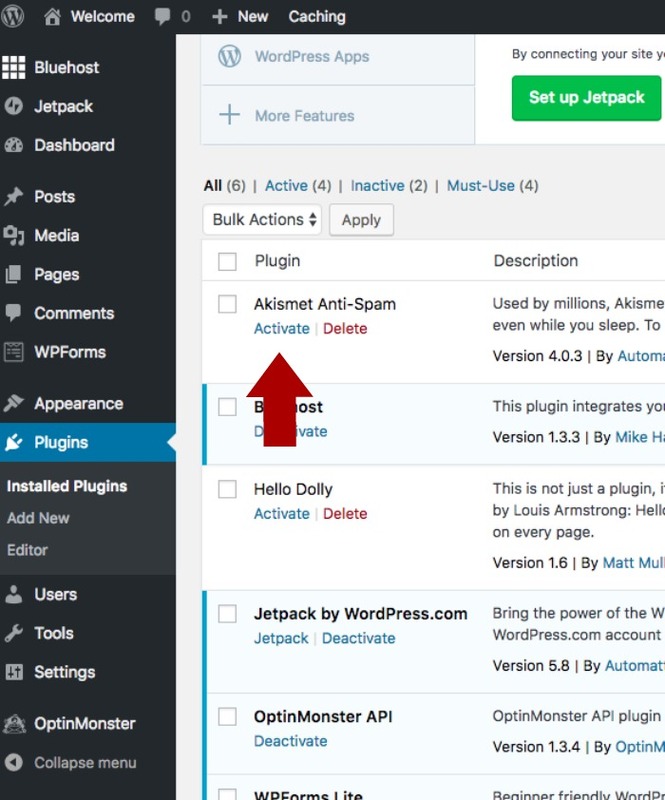 Go into plugin section and click “activate” on the Akismet anti-spam plugin. This plugin comes already downloaded. 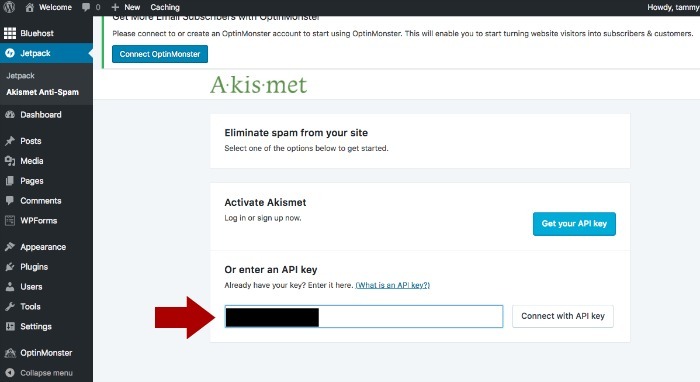 Now you need to sign up for a Akismet account and get your API key. 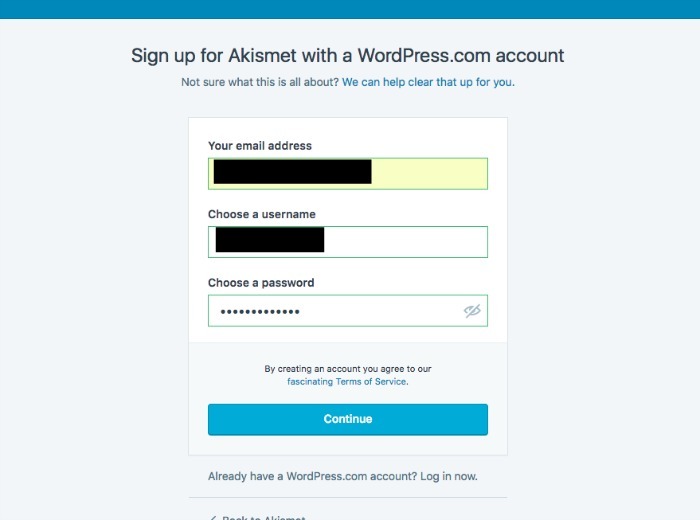 I know this might seem a little confusing but you’ll need to sign up for Akismet with a WordPress account. 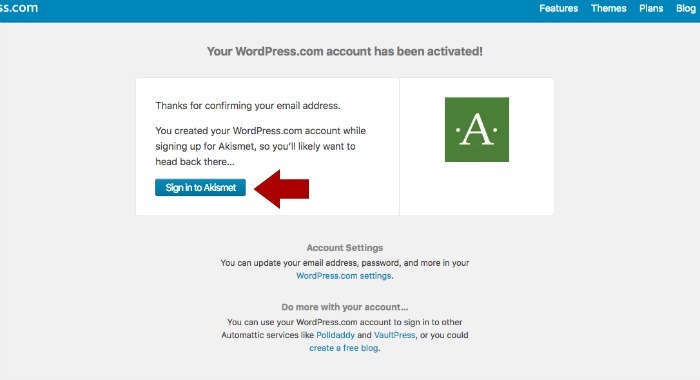 You might think because you have a WordPress blog that means you have WordPress account – unfortunately, that’s not the case. 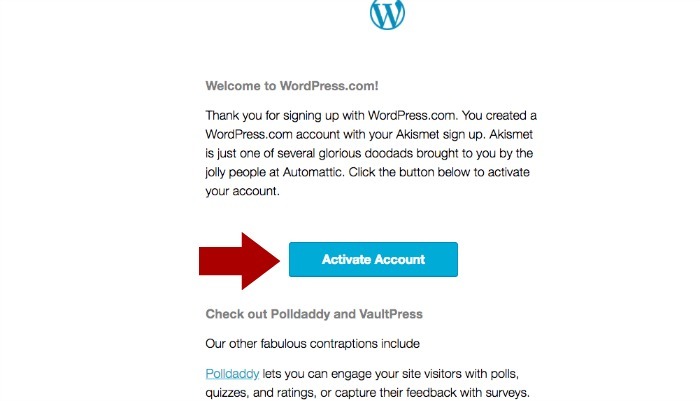 So, take a few moments and create a WordPress account. Remember to save your username and password. At this point you’ll be ask for a donation to use this service. You can put in any amount you want or simply put zero. You’ll be able to use this without paying any money. At that point you’ll get the API key. Copy the API key and go back to your blog. Add the API key into the “enter an API key” section. Click connect with API key. All done! No more worries about comment spammers. Search Engine Optimization (SEO) might not make a lot of sense to you right now but if you’re serious about blogging then you need to be serious about search engine optimization. In the simplest terms SEO means to write blog posts that will rank high in search results on Google and other search engines. For example, if your blog is about building bird houses then when someone searches “building bird houses” on Google you want your blog to come up on the first page. The Yoast SEO Plugin is a free plugin that helps you create blog posts that’ll rank higher in search engines. Click on the plugin tab and then click “add new”. Type in Yoast SEO and you’ll see it come up in the results. Click install and then activate. 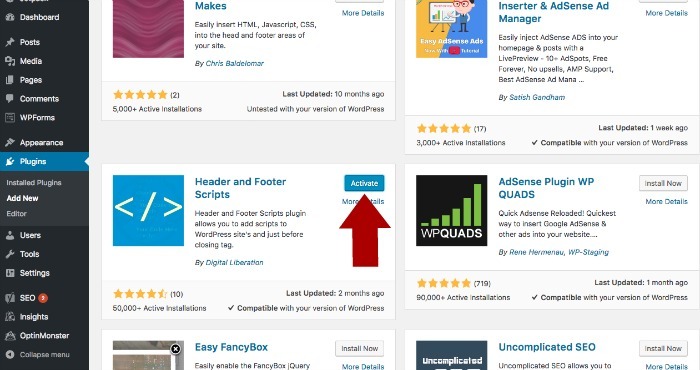 After you install the Yoast plugin you’ll see it to the left of your WordPress dashboard. However, you won’t really mess with it too much there. Instead Yoast provides a form at the bottm of each post you write to add a keyword, titles, and descriptions. It also offers suggestions for improvement. I’ve found the Yoast SEO plugin to be very helpful in improving my blog posts to be better optimized. Embarrassingly I’ve only recently learned of the Google Search Console – I wish I added Organize Yourself Skinny much sooner because the information you get from this tool is GOLD. The Google Search Console lets you know the terms people are searching to find your blog. What!!! Again, just like with analytics, you won’t get much information at first, but within a few months you’ll start to get a better understanding what search terms are bringing people to your blog. This tool will give you tons of information for content creation. I highly recommend getting your blog set up on the Google Search Console immediately. Signing up is a little tricky. First you add a property – this means to add the complete url of your blog. Then you need to verify it. This can be tricky if you’re not familiar with techy stuff or don’t have easy access to the head tag in your blog. If you using a Studiopress theme (see below) you’ll be able to add a script in your header using the plugin simple hooks. This is what I use on this blog and Organize Yourself Skinny. However, if you’re not using a Studiopress theme then you can download the plugin “Header and Footer scripts”. Just FYI, you’re going to need access to the header scripts for other things like verifying Pinterest, Google adsense, and other accounts so it’s a good idea to have an easy way to do that. Okay, now go get the HTML tag to put in the header. After you add your property (blog) you’ll click on the verify button. This brings you to this page. Click on alternate methods. In this section click on HTML tag. You’ll get a piece of code – copy that code. Click on the setting sections on the left side of the dashboard. Then click on header and footer scripts. Paste the code into the “scripts in header” section. Click save. 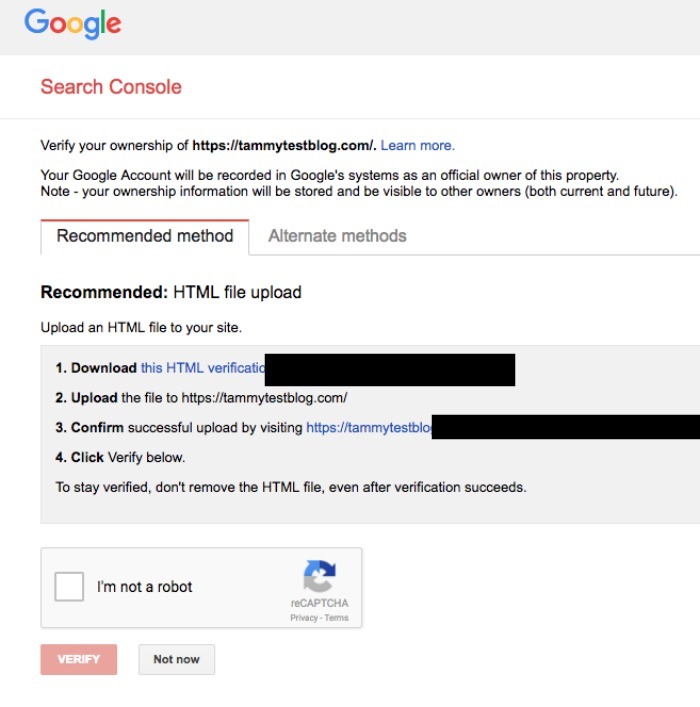 Go back to the google console and click verify. Keep in mind your blog needs to be out of maintenance mode because google can’t read your blog when it hasn’t been launched yet. It takes a little time for google to start reading your blog. And like I said you won’t see a lot of information until you’ve been blogging a month or so. But don’t worry, you’ll be soooo happy you set this up. The theme is how your blog looks. 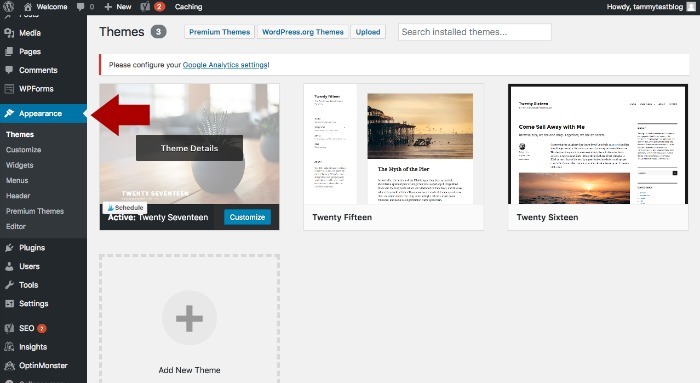 When you first start a blog the theme will be the default wordpress theme. I reccomend switching to another theme and, if your budget allows, purchase the Genesis framework and a premium theme from Studiopress. It’s what I use, have always used, and will always use. Studiopress offer the most beautiful functional themes available. Not to mention they include a lot of features not found with other themes. They are easy to install and not over the top expensive. You can view the Genesis Framework and all the Studiopress themes here. I also highly recommend checking out Restored316 Designs for gorgeous feminine themes. Restored316 Designs builds all it’s themes on the Genesis framework and is a recommended Genesis developer and designer. They offer theme installation services for bloggers just starting out at very reasonable prices. If you’re clueless with installing a theme, and don’t want to waste hours trying to figure things out, then I strongly recommend checking out Restored316 Designs themes and installation services. This might not be the glamorous side of blogging you’ve envisioned in your head. 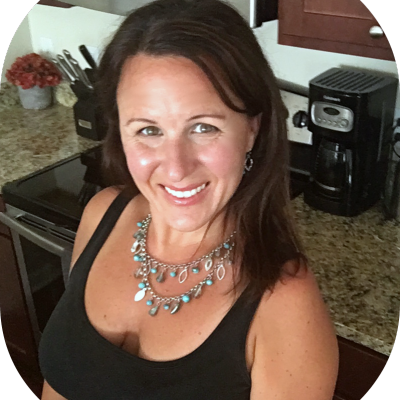 I know, you might just want to start writing and living out your passion. However, taking the time now to put these 7 things in place will set you up for success in the future. In 3 months, when you’re busy building a strong community of readers, and writing viral blog posts, you won’t need to worry about themes, or https, or any of these other blogging tasks – you can just be the fabulous blogger I know you could be! « 6 Top Ways Bloggers Can Make Big Money!